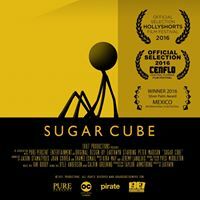 SUGAR CUBE is an animated short film about an artist, who must battle through and overcome the many phases of a creative block, in order to reclaim his inspiration. Norman, a young artist from New York, finds himself caught in a moment of inspiration when his brilliant idea is stifled by a creative block. Before the idea slips away and his mind is entirely consumed by “the block,” Norman decides to fight back. Now Norman must foray through the various stages of this battle and overcome its insurmountable obstacles in order to rediscover his inspiration, before it dissolves like a sugar cube. Toronto-based writer and director Adithya Addageethala (born April 1, 1987) better known by his stage name Earthwyn, has been independently producing and providing freelance services for film and television for the past six years. Formally trained as an Urban Designer, Earthywn brought his strong design background and professional public speaking abilities to the realm of film in 2010, when he became the owner and founding member of 1987 Productions. 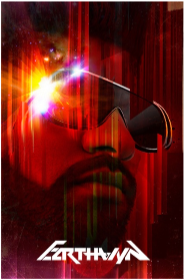 Since then, Earthwyn has written and directed 4 short films, including the film “Metro,” for which he took home the prize for Best Picture at the Toronto 24 Hour Film Challenge, and has worked on numerous music videos for Toronto artists like Karina Es, Derek Wise and Shawn Desman, just to name a few. “Sugar Cube” marks the debut of Earthwyn’s first animated short film, and is sure to astound audiences with its whimsical animation style and thought-provoking storyline.